The recent revelations regarding the Swiss Accounts of Congress leaders in Punjab including former union minister Preneet Kaur vindicates the long standing demands of the Aam Aadmi Party to investigate the matter and punish the culprits. The revelations also substantially proves the fact that Congress in Punjab is neck deep in corruption and public money during its regime and afterwards have been diverted to private accounts abroad. “We demand from the Narendra Modi government in Centre to ensure speedy investigation in the matter and punish the culprit,” senior Durgesh Pathak said in a press conference here today. The fact that both Congress and BJP are hand in glove in most of the corrupt practices in this country is something which should not hinder the crucial investigations regarding the Punjab Congress leaders, he added. Switzerland has revealed today that they were co-operating with the Indian government in investigating the accounts of former union minister Kaur and her son Raninder Singh. The names were also published in notifications by the Switzerland government’s federal gazette and Aam Aadmi Party had categorically demanded that the culprits need to be punished at the earliest and any delay would further give them opportunity to siphon money to any other account. “Any delay in investigation of the accounts of Preneet Kaur and her son will be construed by the people of the country as the opportunity by the BJP government in the centre to help the Punjab’s Congress family evade punishment. The BJP government need to prove that it is serious in countering corruption by bringing the culprits to book,” Pathak added. The BJP government came to power with a promise to the people of the country to flush out black money from foreign accounts. So far, the BJP government has been helpless and useless on this front. Aam Aadmi Party will continue to build pressure both on streets and on government level to bring the corrupt people to book. The people of Punjab have now lost patience and they would not just replace the SAD- BJP combine government from the state but also ensure that Congress does not come back to power. Where: The Oberois, Zakir Hussain Marg, New Delhi. Universal salt iodization (USI) is the simplest, safest and most inexpensive intervention to ensure an adequate iodine intake. Iodized salt programs are now being implemented in many countries, but there is more work to be done. Efforts are being made to support national USI programs to become sustainable and effective in reaching those most in need. India was one of the first countries globally to implement salt iodization for prevention of iodine deficiency. A National Level Survey was piloted by The Global Alliance for Improved Nutrition (GAIN) -UNICEF Universal Salt Iodization (USI) Partnership Project in 2014 to gauge access to adequately iodized salt, the nutritional iodine status in women of reproductive age (WRAs), and the overall salt intake in India. The secondary objective of the survey was to study the knowledge, practices regarding Iodine Deficiency Diseases (IDD), iodised salt and to estimate salt intake amongst the respondents. We cordially invite you to attend the media launch of the key highlights of the survey. Video of Syrian rebels allegedly firing at a Russian-made helicopter on the ground has been posted on a YouTube channel associated with the FSA’s 1st Coastal Brigade. The helicopter is said to have been on a search mission for the pilots of the Su-24 jet downed by Turkey in Syria. BGM-71 TOW (Tube-launched, Optically tracked, Wire-guided) is one of the most widely used anti-tank guided missiles, which has been produced in the US since the 1970s.According to the Syrian Observatory for Human Rights, the militants stuck the helicopter with an anti-tank missile. The Free Syrian Army (FSA), considered to be the so-called “moderate opposition” by the West, has received US Tow missiles among other weaponry. The missile has an operational range of up to 4,200 meters and an armor penetration of between 600 and 800 millimeters depending on the model. The Russian General Staff confirmed that one of the Mi-8 helicopters taking part in the search and rescue operation for the pilots of the downed Russian Su-24 jet, has been damaged as a result of shelling. A Russian marine was killed in the incident, while the rest of the crew and servicemen on board were evacuated to Russia’s Hmeymim Airbase in Syria, it said. Two helicopters were participating in the search and rescue operation, the Russian General Staff added. While trying to critique Russian military policy in Syria, the US President became tongue-tied, leaving the audience to guess whether or not he knows that Daesh and ISIL are two different names for the same terrorist organization. This is according to “remarks” posted on the White House’s mainwebsite following the conference.ONE OF 2 RUSSIAN PILOTS SHOT DOWN BY TURKEY PICKED UP BY SYRIAN ARMY – RUSSIAN AMBASSADOR TO FRANCE. ** Please add ican@josephdias.info to your address book to ensure future delivery. Intercession, Awareness, Activism, Action …This e-journal specifically highlights and documents persecution and violation of human rights of Christians, Minorities, Schedule Caste/Tribes and Other Backwards, urging you to at least – PRAY. Our aim is to identify fundamentalists and those disrupting communal harmony and indigenous communities – posing a threat to a just, equal, plural and secular citizenry. We oppose any kind of discrimination and oppression, whether of race, religion, culture, gender etc. specially when it comes from some of our own. Please pray for the following local, state, national, regional and international situations. NB: We may not agree with material that appears here, which is published to give a cross section of diverse opinions / views, for study, awareness or in the interest of pluralism and freedom of expression, as reported. Images may be indicative and not related to the description. We are also not liable for any claims made here & readers are advised to exercise their own discretion. External sources / links do not signify that we endorse or authenticate them. We take no responsibility and indemnify ourselves for the content of the email. You are receiving this email because you subscribed to this list. This email is solely for the one who receives it & if you are not the correct recipient, or have received it inadvertently, please destroy the email and unsubscribe from the list. Turkish officials have ‘direct financial interest’ in the oil trade with the terrorist group Islamic State, Russian PM Dmitry Medvedev said as he detailed possible Russian retaliation to Turkey’s downing of a Russian warplane in Syria on Tuesday. According to Medvedev, Russia is considering canceling several important projects with Turkey and barring Turkish companies from the Russian market. Russia has already recommended its citizens not to go Turkey citing terrorist threats, which have resulted in several tourist operators withdrawing tours to Turkey from the market. Russia may further scrap a gas pipeline project, aimed at turning Turkey into a major transit country for Russian natural gas going to Europe, and the construction of the country’s first nuclear power plant. Turkey shot down a Russian bomber over Syria on Tuesday, claiming it had violated Turkish airspace. Russia says no violation took place and considers the hostile act as ‘a stab in the back’ and direct assistance to terrorist forces in Syria. New Delhi, 24th November 2015: Raipur has gone abuzz with Hockey as the capital city of Chhattisgarh welcomed international teams to the city for the year’s biggest global hockey event, the Hero Hockey World League Finals. The tournament is scheduled to be hosted at the Sardar Vallabh Bhai Patel International Stadium, Raipur from the 27th November – 6th December 2015. Raipur just hosted the last two of the three match series between India and world champions Australia. This test series marked the city’s first ever exposure to an international tournament and the full stadium for the matches were a testimony to the popularity of the sport of hockey in the region. The city is now all set to host their first international multination tournament as all the participating teams have already arrived in the city. With India and Australia already in town for the last one week, since yesterday the other six teams viz; Germany, Belgium, Canada, Great Britain, Netherlands and Argentina, have reached Raipur. Except for Australia and India who have had a rest day after the 3-match series got over yesterday, all the other six teams took out time to practice at the new laid turf at the Sardar Vallabh Bhai Patel International stadium. Germany and Canada also played a practice match which was a part of their training schedule. The match was played with a reduced time of three quarters of 15 minutes each. Germany won the match 1-0 with a lone goal scored by Constantine Staib. NMDC ltd has been roped in as the Principal Partner on ground partner while SECL/CIL and NTPC are the Official Partners for the Hero Hockey World League Final 2015. Please find attached copies of political resolutions passed at the National Council meet today. Three years ago, India’s greatest anti-corruption movement evolved into the Aam Aadmi Party and these past years have been a great learning experience for all of us. We have learnt that the people of India believe that Aam Aadmi Party is the only party that can provide Corruption-free governance and also adhere to its basic tenets of Swaraj, Secularism and Social Harmony. We are thankful for the trust reposed in us by the people of Delhi and it reinforces our resolve to stay true to these ideals. It also teaches us that organization is the key that can translate the people’s trust into political success. We resolve to not only spread but deepen our party organisation. During the general elections of 2014, the people of India replaced the most corrupt government in Indian history with an alternative that promised development and good governance. In the past 18 months, that alternative, the BJP led NDA has proved just as terrible. Corruption pervades all levels of the Central government, economic growth is lackluster, employment generation is negligible, social-sector spending has been brought down and the agrarian economy has been left to fend for itself. Politically, the BJP has stayed true to its past and gone on to try and tear the social fabric that delicately binds Indian society. The real agenda of the BJP is INTOLERANCE and the purpose is dividing society for political gains. This manufactured INTOLERANCE has been rejected by the people of India, first in Delhi and then in Bihar. But BJP’s continued attempts to make it the centre-piece of its political strategy is a grave threat to the Idea of India. We resolve to politically oppose all corrupt and communal forces which in our view are the primary danger to Indian society. We firmly believe that any dilution of our Federal structure undermines the letter and spirit of the Indian Constitution. India can only prosper as a collective if democratically-elected individual State governments are allowed to function. Since the advent of the present NDA government, state governments are being undermined at the behest of the central government. Instead of Cooperative Federalism the country is witnessing selective targeting of non-NDA state governments through the offices of Governors and Lt. Governors. We resolve to build public opinion and politically oppose the NDA government’s totalitarian attitude towards non-NDA state governments. We are pleased to invite you to the launch of the 6th edition of the UNESCO Science Report: Towards 2030, at 5.30 pm on 23rd November 2015, at the CSIR Science Centre, Lodhi Estate, New Delhi – 110003, being organized by UNESCO New Delhi Cluster Office in collaboration with the UNESCO Institute for Statistics (UIS) and Indian National Science Academy (INSA). What is the UNESCO Science Report?The UNESCO Science Report series was launched in 1993 under the name of World Science Report on the occasion of World Science Day(10thNovember) for peace and development. Since 1993, five reports have been published. A 6th edition is currently in production. Each of the reports monitor the evolution of the support system for science, technology and innovation worldwide over time, through the eyes of an independent team of experts who are each writing about the country or region, where they hail from. All the reports in the series can be consulted online and purchased in various languages. What does the UNESCO Science Report 2015 contain? MODERATOR Mr. Anuj Poddar – Executive Vice President, Viacom 18 Media Pvt. Ltd. The first to- Highlight clothing as a basic but unaddressed need which deserves a place on the development agenda. The first to- Reposition discard of urban households as a development resource for villages, moving away from its age old stance as a charitable object. One of the few- organizations in the world, constructively reviving and strengthening rural volunteerism, to solve its own problems. 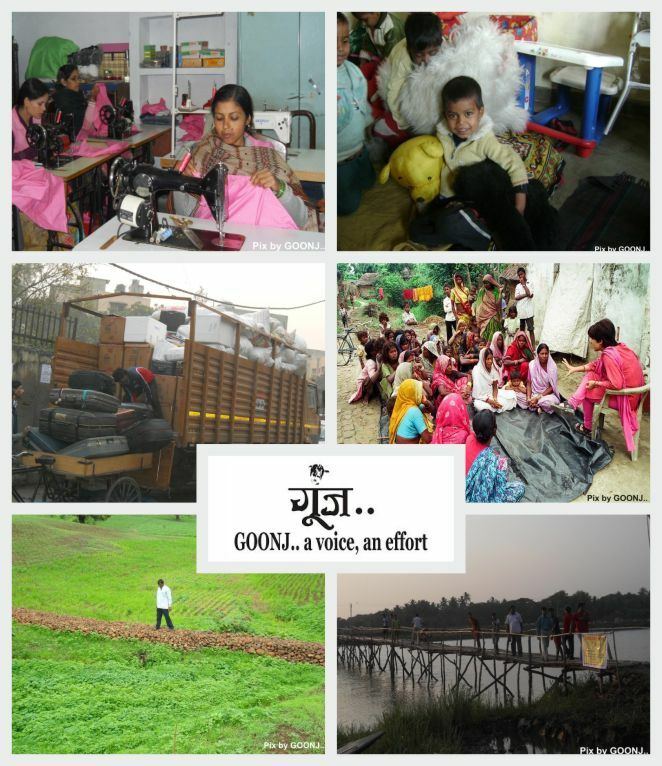 GOONJ has the rare distinction- of an equally vast reach among the masses in the villages as well as the cities across India. The story of Goonj and Anshu Gupta is the story of a movement in the making. A story that holds many lessons for everybody. Lessons in life and mission. Lessons in leadership and community motivation. It provides an insight into the real India that we live in and how we are all inescapably connected. Recognised and rewarded by various institutions, the latest being the 2015 Ramon Magsaysay Award, Anshu Gupta is a man with a mission. His words will move you, force you to think …and then be inspired to translate thought to action…to move from success to significance. For this session, we request all participants to bring along a young companion (below 25 years) who will be encouraged to ask questions and be inspired by interacting with this values based leader. Also request you to bring along a pair of used spectacles/sunglasses for donation to Goonj. 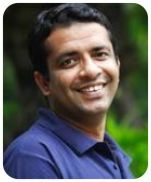 Popularly known as the Clothing Man and recipient of 2015 Ramon Magsaysay Award, Anshu Gupta has studied Mass communication and has a masters in Economics. Starting as a freelance journalist, Anshu left a corporate job in 1998 and founded Goonj with a mission to make clothing a matter of concern and to bring it among the list of subjects to work on, for the development sector. Under his leadership Goonj has taken the menacing growth of urban waste and used it efficiently as a tool to trigger large scale rural development work. By creating a barter between two new currencies; labor of the beneficiaries and old material of cities, Anshu has built the genesis of a parallel economy which is not cash based but trash based. Anshu is an Ashoka and Schwab Fellow apart from being a member of the Humanitarian Crisis Council of the World Economic Forum and has been listed by the Forbes magazine as one of India’s most powerful rural entrepreneurs. Anshu brings to the table an instinctive empathy and connect with people by dignifying the act of giving. In the macro picture Anshu has identified some basic needs outside the radar screen of the development sector and the civil society, that too by structuring imaginative solutions using urban waste. Mr. Anuj Poddar – Executive Vice President, Viacom 18 Media Pvt. 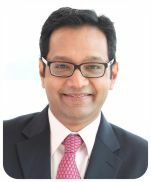 Ltd.
Anuj Poddar is Executive Vice President with Viacom18, currently engaged in repositioning and redefining the scale of the regional entertainment space in India. Anuj spearheaded the formation of Viacom18, its foray into mass entertainment with Colors and architected its very successful journey of becoming one of India’s leading media and entertainment conglomerates. He also set-up the company’s operations in USA and UK and has led strategy for MTV Networks Asia. Prior to joining Viacom18, he has had over a decade of myriad professional experience in strategy consulting, mergers & acquisitions advisory and assurance with Arthur Andersen and KPMG, besides running his own entrepreneurial venture. In all his pursuits, he brings to fore a unique blend of business acumen, diverse experience and deep insight into human and consumer behaviour that enable him to build and run strong successful businesses. He is a Fellow of the Inaugural Class of Ananta Aspen’s India Leadership Initiative and member of Aspen Global Leadership Network, a member of BMW Foundation’s World Young Leaders’ Forum and has been on the Governing Council of CII-Young Indians. Anuj has schooled in Mumbai, India and Michigan, USA and is a rank-holding Chartered Accountant. Anuj lives with his family in Mumbai, India. Left to right is Suhel Seth, Neeraj Kumar,Raja Vijay Karan ,KC Singh etc at Hotel Taj Man Singh @ Book release the Crime Thriller of Retd IPS Neerag Kumar, titled DIAL D FOR DON.